Because who doesn’t like unlimited Prosecco? 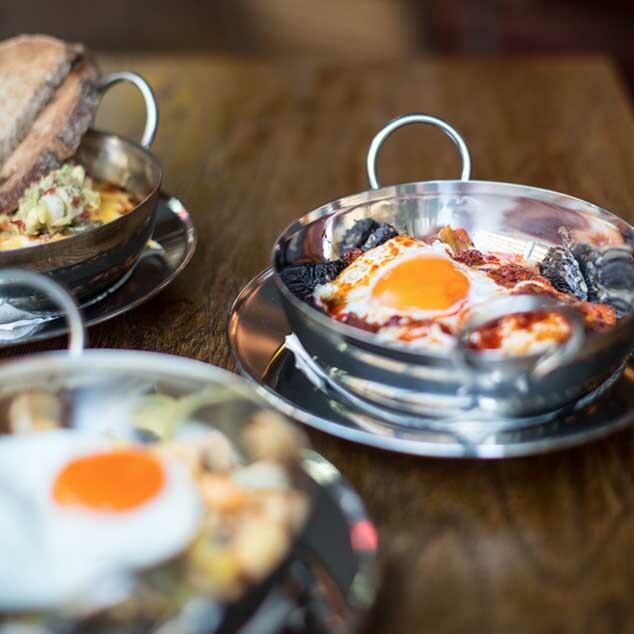 Bottomless brunches are London’s gift to weekend. Originally made popular in the US they have navigated their way across the Atlantic and over to our shores. 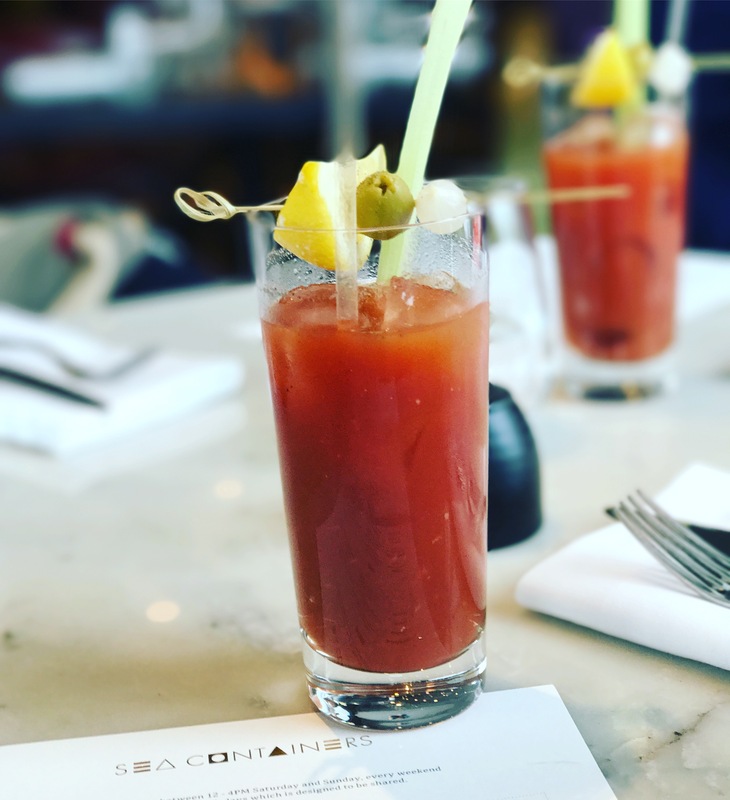 What better way to spend a couple of hours on a Sunday than eating delicious food and enjoying as much Prosecco, and often bloody marys as you want. Not only do they offer fantastic value for money but it also takes away the hassle of the bill at the end when you’re in a big group. Everyone has got that one friend who orders 8 pornstar martinis, starter main and dessert whilst everyone else has had two glasses of wine and a bit of bread and wants to split the bill. With these the headache is gone! I’ve taken one for the team and visited a variety of different bottomless brunches to allow me to report back. Here are 5 of my favourites (as with the X Factor results, these are in no particular order). I’ll be adding to the list as I try others so if you have any recommendations please let me know in the comments. Cost: £16 for unlimited prosecco or house bloody marys when ordering a main meal. 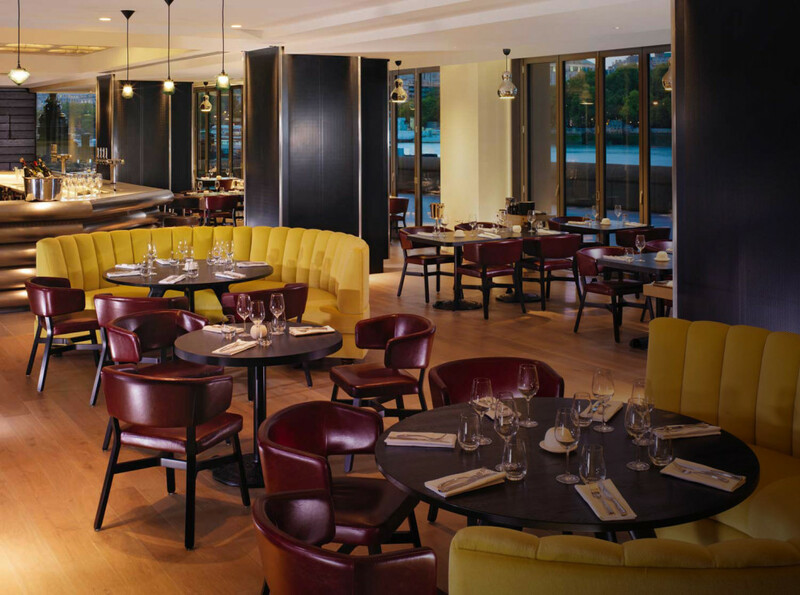 This restaurant has the wow factor, sitting on the Southbank with floor to ceiling windows giving views of The Thames and St Paul’s Cathedral. Get there early to nab yourself a window seat. The service is excellent and welcoming, when I visited my mother had arrived ahead of me, the maitre d ‘ escorted me to her table and even commented on the book my mum she was reading on the way. Drinks are free flowing with our waitress ensuring that they were ordered before we had reached the bottoms of our previous glass. The bloody marys are fantastic by the way, tasting like they had been individually mixed rather than poured out of a big jug. The food here is fantastic and the truffle oil macaroni cheese is a must have. Try out one of the sharing roasts as well. The braised beef burrito and the breakfast hash are also high on the list of things to choose. 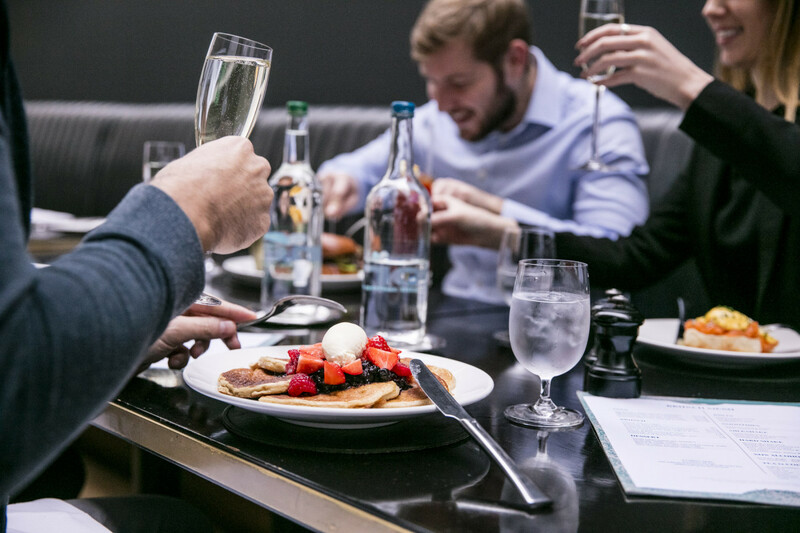 Cost: £35 includes bottomless bloody marys, prosecco and mimosas and your choice of 5 dishes. The setting feels undoubtedly a bit funky, nice and relaxed with cool waiting staff. The Prosecco is topped up frequently and it has a really interesting tapas style food offering. You choose 3 different dishes from a wide selection of savoury and sweet options meaning there is something that caters for everyone – including french toast and pancakes with an assortment of toppings. Personal food recommendations are the french toast with vanilla cream, buffalo rib tips and guacamole and poached egg on toast. FIT! Cost: Two courses for £23.50 or three courses for £26.00. Add unlimited Bloody Marys or Prosecco for £15 per person. 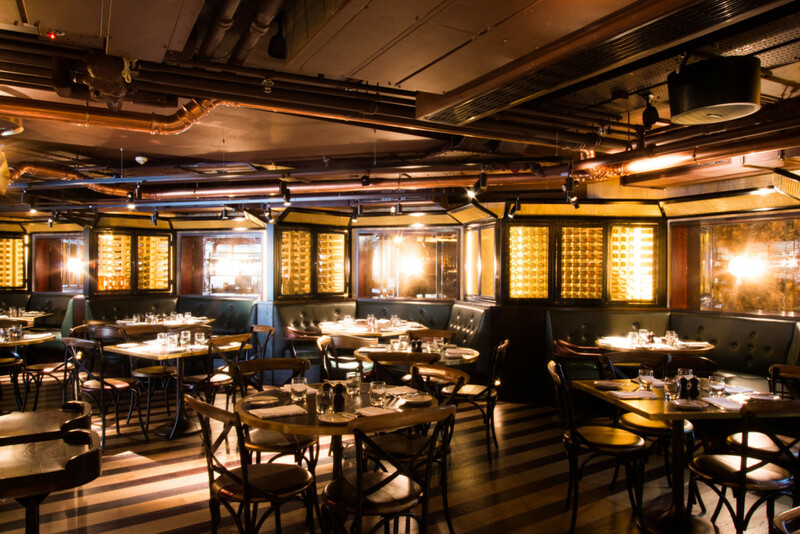 Great for going for a Mayfair lunch without the Mayfair price-tag. Nestled a short walk away from Green Park station just a little past The Ritz (see my post on afternoon tea here) the bright and airy setting is bubbling with energy during their weekend brunches. The drinks comes quick and fast from a professional serving team. The food menu here is interesting because most of the choices come in a small or a large portion size. This gives real variety when it comes to picking what to eat because you aren’t as constrained by the usual starter or main set up. There’s a variety of different egg options from Eggs Benedict with ham and hollandaise to scrambled egg with salmon and avocado. Have the three courses for an extra £2.50 and treat yourself to that banoffee sundae, you deserve it. Cost: Two courses for £20 or three for £25. Add £15 and receive bottomless Prosecco, Bloody Marys, Mimosa’s or ETM red. This little gem hidden away in Broadgate Circle in the heart of the city is home to the workers of the surrounding offices during the week. At the weekend though on a Sunday they offer a fantastic brunch. This is a great one to go to if you are feeling hungry as the portion sizes are really very generous. Service here professional but friendly and they top up your glasses well before you have a chance to get to the bottom. The interior is stylish and classy and if there’s a group of you I would recommend requesting one of the circular booths when you book. The food is more varied than the standard brunch affair, the avocado and chilli on toast with smoked bacon is fab. For main course both the pork belly and salmon salad mains are both extremely satisfying. Make sure you leave room for dessert, the salted caramel tart and sticky toffee pudding are both divine. 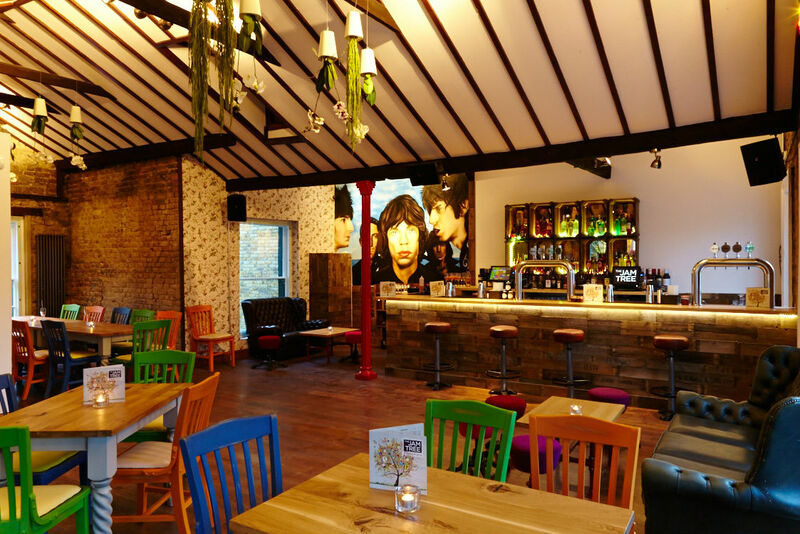 The Jam Tree is the place to come for a more relaxed brunch in a quirky pub-like setting. This is one of two in London, the other is in Clapham which is just as lovely and though I haven’t been there for brunch they do fab cocktails. The relaxed approach is reflected in the way that they serve their drinks, they simply leave you with a bottle of prosecco on your table for you to pour yourself meaning there’s no concern about not getting topped up! They then replace the bottle when it’s finished (I find the easiest way to show them this is to turn it upside down in the ice bucket). The food is more traditional brunch affair with the links of eggs benedict, eggs royal and the all important full English, perfect for hair of the dog after for the hangover from the night before! Next Post What is A Disney Cruise Like?